Technifab specializes in the storage, transfer and control of cryogenic fluids. We offer standard products and custom equipment for safe, efficient and cost-effective handling of cryogenic liquids that meet customer specifications. Fabricates machined parts with strict quality standards, JIT delivery and tight cost control for every industry from aerospace to industrial equipment manufacturers. See why we are the industry leader in CNC Manufacturing. Manufactures low evaporation liquid nitrogen dewars for laboratory use and custom-designed dewars for analytical and industrial applications. Need a custom design? Our engineers can create you the perfect dewar for the job. We work as a united team with industry leading cryogenic and cnc experience to meet our customers needs. 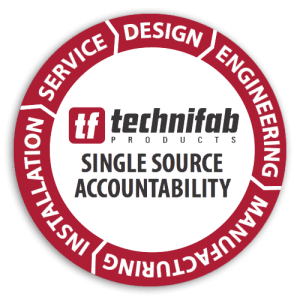 When you do business with Technifab, you are getting more than a quality product. Our customers get a team dedicated to design, service and support that is always ready to assist you with all your cryogenic and cnc needs.